“Researchers at the University of Exeter have developed an innovative technique that could help create the next generation of everyday flexible electronics. A team of engineering experts have pioneered a new way to ease production of van der Waals heterostructures with high-K dielectrics- assemblies of atomically thin two-dimensional (2-D) crystalline materials. 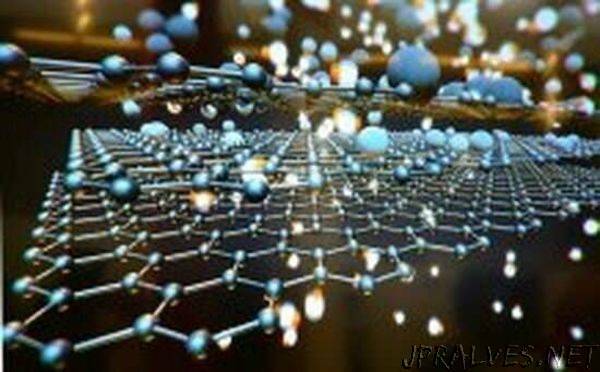 One such 2-D material is graphene, which comprises of a honeycomb-shaped structure of carbon atoms just one atom thick. While the advantages of van der Waals heterostructures is well documented, their development has been restricted by the complicated production methods. Now, the research team has developed a new technique that allows these structures to achieve suitable voltage scaling, improved performance and the potential for new, added functionalities by embedding a high-K oxide dielectric. The research could pave the way for a new generation of flexible fundamental electronic components. The quest to develop microelectronic devices to increasingly smaller size underpins the progress of the global semiconductor industry – a collection of companies that includes the tech and communication giants Samsung and Toshiba – has been stymied by quantum mechanical effects. This means that as the thickness of conventional insulators is reduced, the ease at which electrons can escape through the films. In order to continue scaling devices ever smaller, researchers are looking at replacing conventional insulators with high-dielectric-constant (high-k) oxides. However, commonly used high-k oxide deposition methods are not directly compatible with 2-D materials. The latest research outlines a new method to embed a multi-functional, nanoscaled high-K oxide, only a within van der Waals devices without degrading the properties of the neighbouring 2-D materials. This new technique allows for the creation of a host of fundamental nano-electronic and opto-electronic devices including dual gated graphene transistors, and vertical light emitting and detecting tunnelling transistors. Dr. Withers added: “The fact we start with a layered 2-D semiconductor and convert it chemically to its oxide using laser irradiation allows for high quality interfaces which improve device performance.